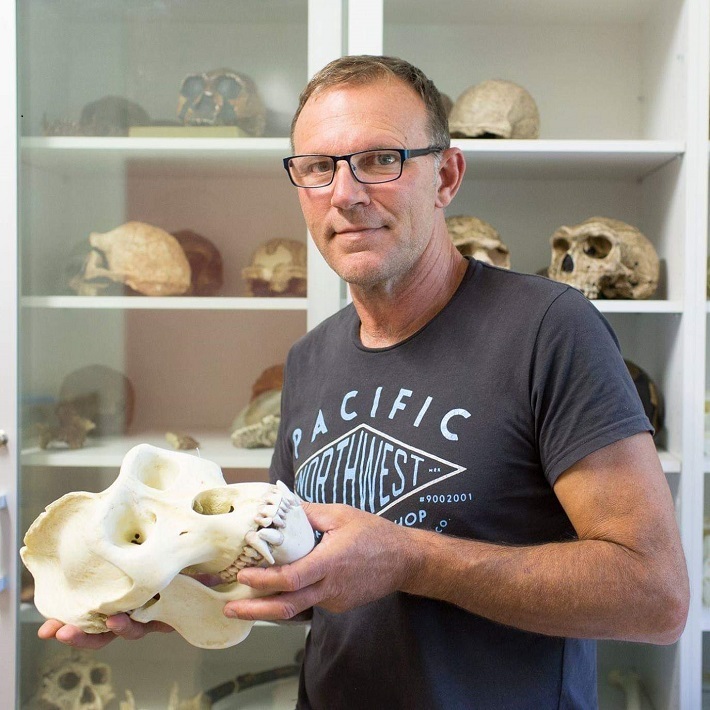 From ancient human and animal bones, University of New England’s Professor Stephen Wroe is unearthing the secrets of evolution and some very modern engineering solutions to today's medical problems. The work of the Palaeoscience Research Centre is a great illustration of why UNE achieved the highest rating for research quality in Evolutionary Biology, Zoology and Geology in the Australian Research Council’s most recent ‘Excellence in Research for Australia’ National Report. Prof. Wroe and his team at UNE’s Function, Evolution & Anatomy Research lab (FEARlab), within the Palaeoscience Research Centre, are interested in the shape and structure of living and fossil animal bones - how they influence behaviour, what they are capable of and how they evolved. Using methods originally developed by the aero-space industry to test engineered products like rockets and jet aircraft, they have helped to pioneer a range of computer-based, 3D digital techniques founded on CT scanning. These techniques include ground-breaking 3D virtual reconstructions and ‘crash-test’ computer models of fossil creatures, ranging from ancient marine life, such as trilobites, dinosaurs and the giant extinct shark (Megalodon) to fossil relatives of modern humans, including Neanderthals and the hard-biting Paranthropus (known as 'nut-cracker man'). The team then compares their computer simulations to those of dozens of living creatures. The 3D models not only enable the rapid worldwide sharing of specimens and results among scientists, but also the protection of invaluable bones, ancient artefacts and fossils from potential loss or damage. The window they open on the lives of long extinct creatures and early humans is astonishing. "Recently, we compared the skull mechanics of Neanderthals to that of modern humans to find out why they had such long protruding faces and big noses. Some people thought that this was an adaptation to allow heavy biting at their front teeth. Using a combination of virtual reconstruction and modern engineering approaches, we showed that it was actually an adaptation to conditions of cold, dry air and allows sustained heavy breathing through the nose during prolonged exertion. This suggests that Neanderthals led high-energy lifestyles." During a 30-year career in palaeoscience, zoology and environmental science, Professor Wroe has taken a decidedly inter-disciplinary approach. "My passion is in helping to bring together people from very different backgrounds to answer big questions," he said. And the results are far from academic. "Understanding relationships between the shape of biological structures and their functions is key to answering fundamental questions in fields ranging from palaeontology, evolutionary biology and palaeoecology to physical anthropology and biomedicine," Professor Wroe said. "The methods we’ve developed can be applied to any biological structure." Researchers in Professor Wroe’s lab have included surgeons who have developed more effective ways to treat jaw fractures, devise patient-specific prosthetics and even create artificial vertebrae for cancer patients. With 12 academics/postdoctoral fellows engaged in research across vertebrate and invertebrate palaeontology, as well as physical anthropology, UNE’s Palaeoscience Research Centre (of which the FEARlab is a part) is now arguably the largest centre of its kind in Australia. And Steve takes delight in the fact that some of his work in Australian palaeontology and megafaunal extinction is now cited in high school science curricula and textbooks.